To enhance the aims and habits of humans; knowledge is an inevitable element. The importance of knowledge in ones life is as important as air, water and food for living. And knowledge comes only through education. What exactly is Education? It might be considered as a simple process through which knowledge is spread to everyone. In the current scenario everyone is welcomed by Universities and Institutions across the world to enrich the knowledge and skills among people and also to build a well educated society across the globe. The door is wide open for everyone. But, if someone who is not able to get an opportunity to enrich their knowledge and skills, only because they can’t afford the fees structure, then here is a platform to know about the various schemes of education loans available today. Interest rate is one among the first and foremost factor which must be well understood before signing for any loan. And this is because; the interest rate is one which determines the entire cost of the education loan which someone is opting for. As far as education loans are concerned, the interest rates are minimum compared to any other type of loans. The interest charge depends on the bank from where you are availing the loan. There are basically two types of offerings that banks make; that is the ‘fixed rate of interest’ and the ‘floating rate of interest’. For educational loans the fixed rate of interest is preferable. And that is because the repayment period is shorter. Well, as far as any loan is concerned, repayment period is a crucial factor. As any other loan; education loan also has to be repaid within time. But, the only difference from other regular loans is that there is a relaxation. According to which the loan has to be repaid only after the completion of course. There are basically three types of repayment procedures in an education loan. According to the first option, one can start repaying the education loan either after the one year of completing the course or you can start repaying the loan after six months of getting a job. The second option of repayment says that you can repay the interest amount during the course tenure. And the EMI which includes the principal amount along with interest rate has to be repaid only after the completion of course. But, the third method of repayment is entirely different, as you are supposed to start repaying the EMI immediately, just after the loan has been availed. The bank which sanctions loans for you will be charging some processing fees from you. The processing fee depends on that particular bank from where you are planning to avail the loan. 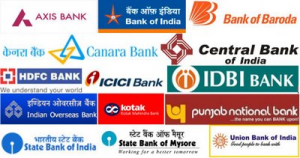 Majority of the private banks usually charge processing fee from you. It is usually 2.25 % of the loan amount which is charged as the processing fee. 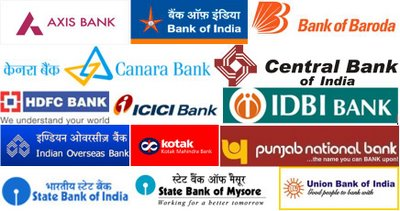 But in the recent time, this trend is gradually changing and there are many banks which does not charge processing fee at this point of time, particularly the government banks. Margin money is also an unavoidable factor for any education loan. 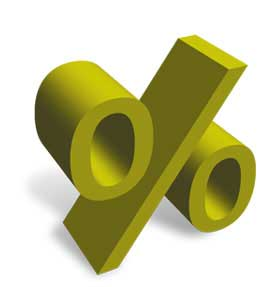 While availing the bank loan you have to pay a particular percentage of the loan amount to the bank. This amount is known as the marginal money which is also known as down payment. At present the banks charge around 10 to 20 % as marginal money. There is a facility for you to pre-pay the loan amount. That is, in some cases if you wish to repay the loan in early you have the privilege to go for pre-payment without any additional or penalty charges to be paid. But with regular loans this is not allowed. 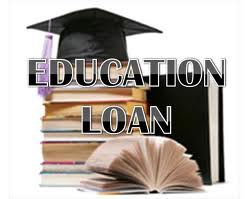 It is only with educational loan there is the option for pre-payment of loan amount. The banks which provide education loan will be demanding for collateral or security for one who avails the education loan. The security will be of a comparable value of the total loan amount. You also have to provide co-obligation of parents and guardians while availing the loan. It is also required to provide an assignment on the expected future income that you will be earning after the completion of the course. This is for the bank to calculate the repayment period. As far as an education loan is concerned, it will be taking care of most of the expenses inquired in completing the course. Most of the time, banks will be considering the total tuition fee payable by you to the college of any institution where you are undergoing the course. The loan will also cover examination fee, laboratory fee, if any and the library fee as well. Expenses for books, uniforms and other equipments are also covered under by the loan amount. Expenses such as caution deposits, refundable deposits and etc are also taken care of. If the course period includes study tour or project work, then the expenses incurred for such requirements are also included in the loan. Well, education loans provide you a platform to enrich your education and make yourself competitive in the society. Anyone can opt for an education loan up to Rs. 7.5 lakh in India and can avail a loan amount of Rs. 15 lakh for education in abroad. This is outlined by the Reserve bank of India and the Indian Banker’s association. All you require to do is to find out which type of loan best suits your requirement. In the current scenario almost every nationalized and private banks provide education loan. It is obvious that terms and conditions of every bank depends upon the rules and regulations of that particular bank. Before availing a loan and getting into an agreement with the bank it is always recommended to have an in-depth understanding of the terms and conditions included in the agreement. Educational Loans…Is it a liability???? Procedure to appear in PSU exams for MCA students? Can I get education loan for MSW course? Model Question Papers to prepare for DRDO Exam for Diploma holders? Why is the interest rate is more for educational loan than other loans? How can i get education loan for studying Homeopathy course through distance education? Top 10 colleges under Osmania University providing MCA course? Can I get placement in IT company after scoring 68% marks in 10th, 48% in 12th, 64% in BCA and 6.4 CGPA in MCA? Previous year Question Papers for Bombay High Court Exam? How to get bank loan for IAS coaching? Application form of msc nursing entrance exam for manipal university? Qualification required for S.S.C in Rajasthan? What are the age requirements? Is there any loan for IAS students? Is Education loan available for studying in Government Pilot Colleges? Can i get loan for PGDBO Course? Which documents are required for this? Eligibility to apply for Education Loan to study Executive PGDM in IIM-Delhi? Eligibility of Education Loan for ACCA course? Am I eligible to get Education Loan to study ICAI course on Higher Secondary Certificate? What to do after MSc microbial food technology? All the information related to admission criteria for B.B.A? Can I join LLB course after qualifying 12th last year?